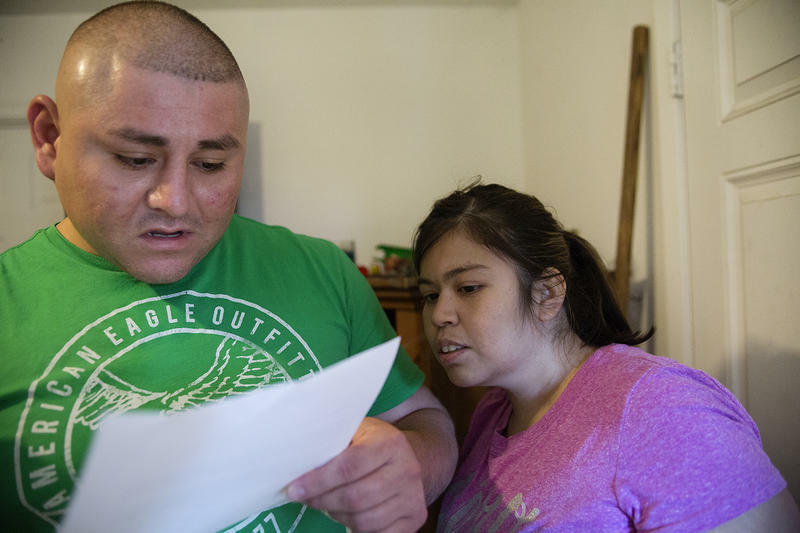 Juan Aranda and Rebekah Jara read a letter regarding their ongoing spat with their landlord, who, they say, unjustly chose not to offer them a lease renewal. Legal notices and lease copies blanketed a plush beige couch in a North Austin apartment. Rebekah Jara rummaged through the papers. Lawyers had urged her and her fiancé, Juan Aranda, to keep copies of everything. More letters would come. But, until then, Aranda and Jara were struggling to get repairs done on their apartment on Sam Rayburn Drive in Austin’s Rundberg area. Jara notified the Austin Code Department of several repairs needed on May 5, 2016 – holes around a bathroom vent, windows that did not close properly, a broken dishwasher. Most of those have since been fixed. Except for the dishwasher. It was removed by the landlord and has not been replaced. Now, it was something else. “It’s been going on about a month without hot water here,” said Aranda, as he pointed to his kitchen sink. Used dishes had been stacked. The couple had been boiling water in order to wash the dirty ones. 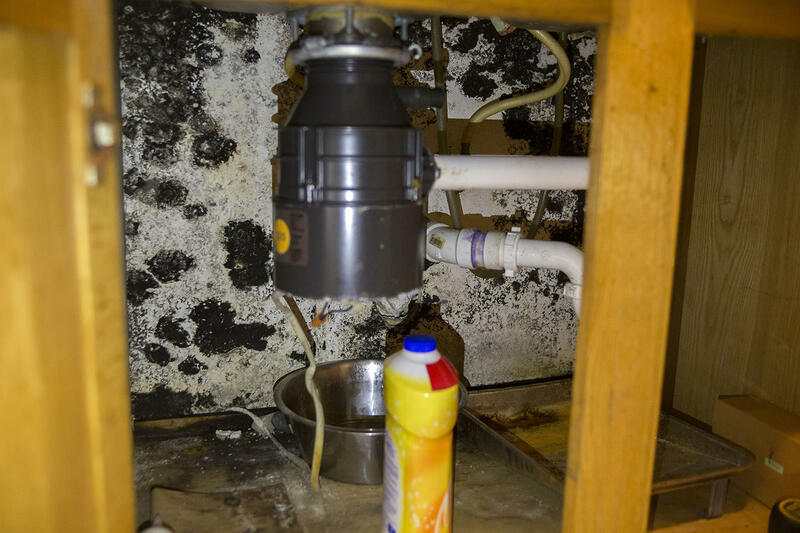 A repairman refused to do work at Jara and Aranda's Rundberg apartment until the mold lining the underbelly of their sink was treated for black mold. Then Aranda peered beneath the sink. Mold dotted the wall beneath the sink, stretching out as if grasping for air – or more wall space. The mold cropped up when they had a leak. They complained to their landlord. A plumber came, but he didn’t do much. “He went to his truck, got a mask, came in and he said he was refusing to do the work on it until a mold expert or mold crew would come in here and remove that mold,” Aranda said. No one did. But just a day later, a letter came rescinding that offer. Since then, the couple’s been living without a lease, paying month to month. On August 3, the landlord returned their latest rent check, along with a letter telling them to leave. An image of the letter. In it, the landlord lists four reasons for not offering to renew their lease – failure to cite repairs in a timely manner, housing a pet (the lease allows for one cat, but Aranda and Jara also have a dog), drying pants on the fence (Aranda admits he did this once), and complaining about the condition of the apartment. This last reason has raised eyebrows. (The landlord, Raymond Hernandez, though his lawyer, would not comment on record for this story. To complicate things, Hernandez was, at one time, married to Jara’s mother). 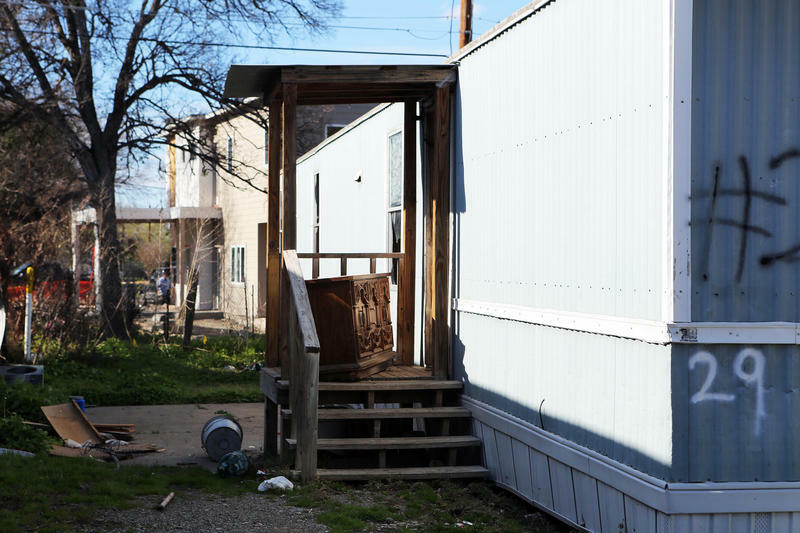 “One of the problems which has been difficult for folks to address has been retaliation,” said Shoshana Krieger, project director of Building And Strengthening Tenant Associations (BASTA), which is housed under the non-profit Texas Rio Grande Legal Aid. “So, we are working with tenants right now who have called Code, Code has come out, done an inspection, and then the landlord is saying, ‘You need to get out. We’re not renewing your lease,'" Krieger said. In Texas, a landlord has a lot of leeway for evicting a tenant. According to Krieger, unless someone can prove that they were discriminated against or the victim of retaliation after asking for repairs or organizing with other tenants, there are few legal barriers to eviction or the termination of a lease. Texas Rio Grande considers failure to renew a lease the “termination” of one. "Code doesn’t have the power to tell that landlord, ‘Oh, you need to renew the lease.'" So, the City of Austin decided to do something about it. In December, the Austin City Council approved a contract diverting $350,000 from the Code Department’s budget to Texas Rio Grande (and Krieger and her colleagues). Should the city renew the contract over several years, it could end up spending $1.75 million on the project. Krieger emphasized that this is one way to bolster the work of the Code Department, which is responsible for making sure building owners remedy unsafe conditions. Reports out of the University of Texas School of Law’s Entrepreneurship and Community Development Clinic have criticized the department's work. In 2013, the clinic published a report citing understaffing and a backlog of cases. Ironically, sometimes when Code does its job effectively, it can backfire for the tenant renting from a retaliatory landlord. “[Code inspectors] have the power to cite for a health and safety violation, which they did. And, as a result of that, and as a result of the order to make the repairs, now the landlord’s retaliating against the tenants,” said Krieger, describing an oft-occurring scenario. According to the Code Department, complainants can ask to remain anonymous; however, the department sometimes has to alert the landlord to which unit needs repairs, in which case it’s hard to maintain a tenant’s request for anonymity. After that, the department’s power is limited. “Code doesn’t have the power to tell that landlord, ‘Oh, you need to renew the lease,’” said Krieger. Back in Rundberg, Aranda and Jara walked to the apartment next door. 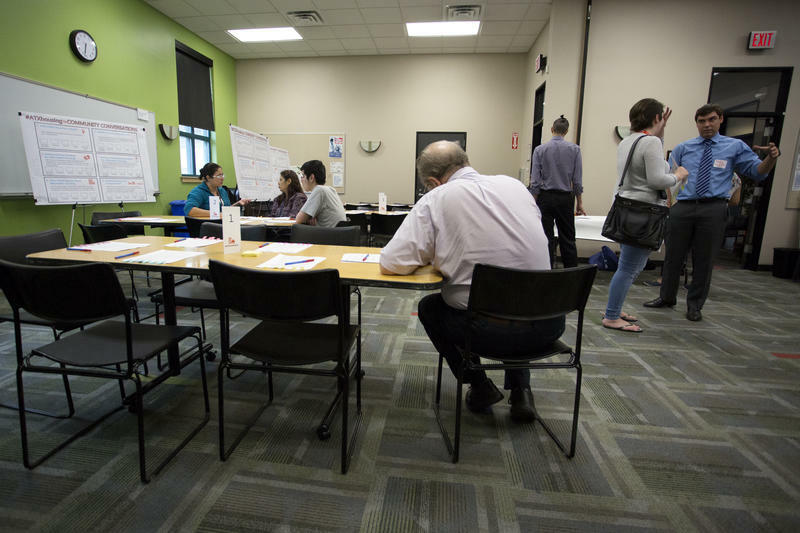 There, at least three other tenants were meeting with people from Texas Rio Grande Legal Aid. Part of the BASTA project is to educate and empower tenants to demand action as a group. 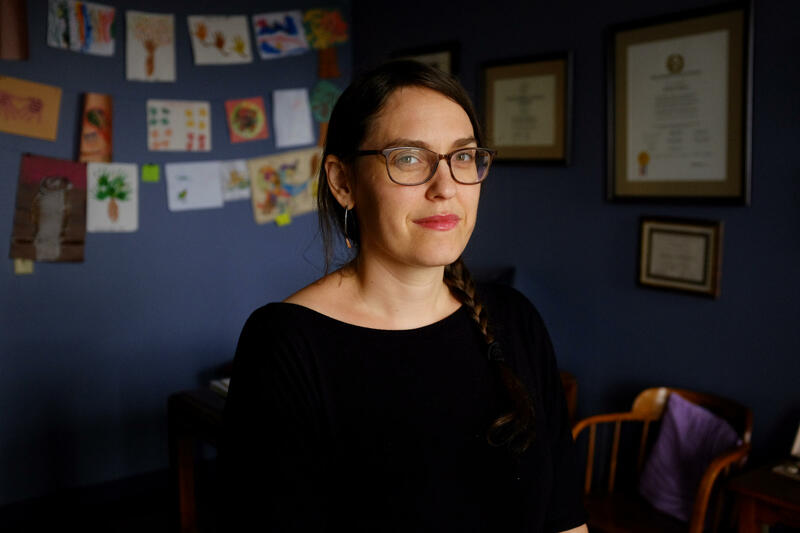 Shoshana Krieger of the Building And Strengthening Tenant Associations (BASTA) says the Austin Code Department is hamstrung in regulating landlords and evictions. Now the City of Austin has diverted $350,000 to BASTA and other nonprofits to help tenants who feel they've been the target of reprisals from landlords. One of the first steps they took back in May was to send a group of letters from individual tenants via certified mail to the building owner demanding specific repairs. In the meantime, one lawyer and one outreach coordinator sat at a tenant’s kitchen table collecting documents – copies of bills, letters from the building owner – should they end up going to court. Aranda and Jara carried with them their stack of documents, stuffed into a ripped, yellow envelope. The story it told was winding, and pieced today by oft-crumbled pieces of papers. Just four days after Jara complained to Code, the couple was offered a lease renewal. While their lease had been extended three months – but their monthly rent was upped by $50 – they still had no lease renewal. Then, their August rent was returned. The couple is still in their apartment, unsure if they’ll receive an official eviction notice. If so, lawyers with Texas Rio Grande Legal Aid say they’re ready to defend them. The department charged with policing overgrown grass, short-term rentals and illegally discarded junk fails to follow a consistent protocol for overseeing violations and does not enforce violations with equal fervor on city-owned property, reads a report by the City of Austin auditor. In a review of 306 code complaints, the auditor took issue with 77 percent of them. From the Austin Monitor: City of Austin documents show that employees in the Neighborhood Housing and Community Development Department have made numerous complaints involving inappropriate behavior, a hostile work environment, sexual harassment and retaliation over the past five years. Many of those complaints revolve around Steve Ritchie, director of construction and development, and former Director Betsy Spencer’s alleged favoritism toward Ritchie. Why Does Austin Need a Comprehensive Housing Plan? 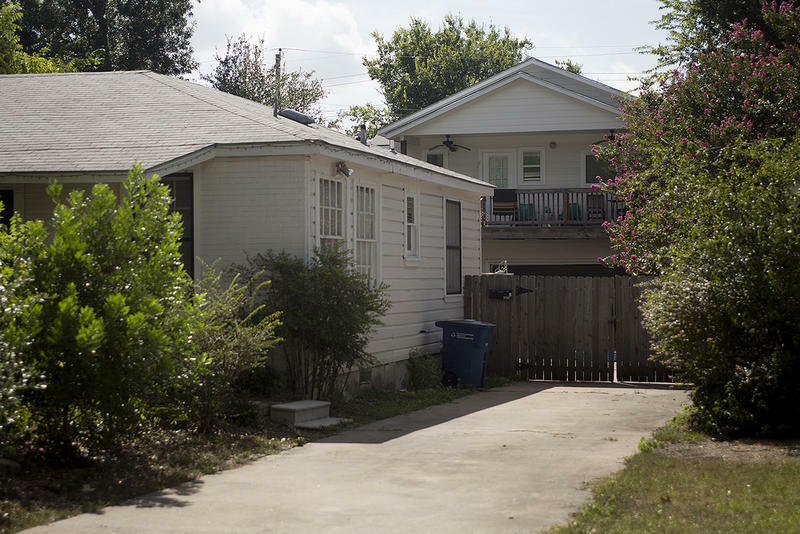 City leaders are working to develop Austin’s first-ever housing plan. So, why does the city need one?